In this world, there are some things that I care more about. One such thing is how my toddlers learn on a daily basis. I would love to accompany them all day, but I have a day job and cannot be home most of the day. Which is why I try to use the iPad as effectively as possible to provide a fun and interactive learning experience for my sons whenever I am home. One of the problems that I am currently facing with my 3-year-old son, Philip, is trying to teach him how to count. While he is already familiar with numbers from 1 to 20, he hasn't been able to count objects correctly and consistently. I have been trying to teach him myself, but it seems that he learns new things faster with apps. I recently found a great app for him which I believe will help him learn to count. Tally Tots introduce the concept of counting through fun activities. Tally Tots is a fun little app that was developed by Spinlight Studio to help toddlers learn to count from 1 to 20. 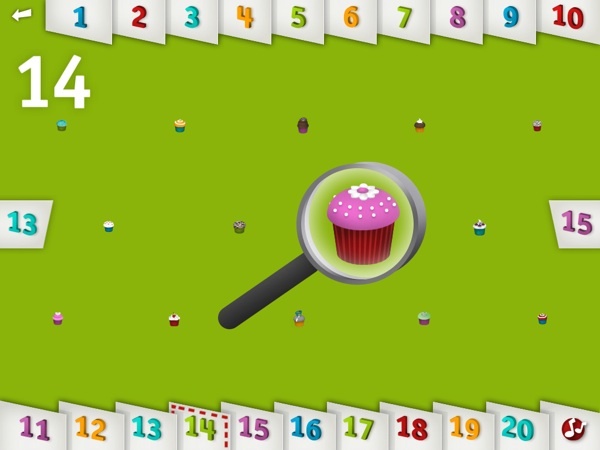 Using various objects and gestures, you interact with the app and learn to count at the same time. For instance, you tap on a light bulb to turn it on, hold down two remote controls to make two cars race, and drag seven ingredients to make a burger. The app emphasizes the concept of counting through various repetitions throughout the app. When you select a number, the app counts from 1 to that number. It then presents an activity that involves objects as many as the selected number. Each number has a unique activity that involves objects as many as that number. Personally, I am glad to have purchased Tally Tots because now there is a reliable way for my sons to practice counting when I am not around. The app allows juniors to practice counting up to 100 which greatly lengthens its life time. Philip also loves the counting song included in the app and replays it all the time. I have to give props to Tally Tots for offering twenty different activities in one app. With contextual voice over recorded for each activity, this app can really motivate and reward toddlers to learn. One complaint that I have is that several activities seem less interesting or less interactive than the others. As a result, Philip tends to prefer some activities than others and will skip over the ones he find boring. I also think that the app could benefit from a catchy background music. Make a series of domino fall over, cook your own burger, race cars, and more in Tally Tots. I find Tally Tots very helpful. The app has compelling visuals and unique activities for juniors. While there is still room for improvement, it is currently my go-to app for teaching Philip to count. Get Tally Tots on the App Store.